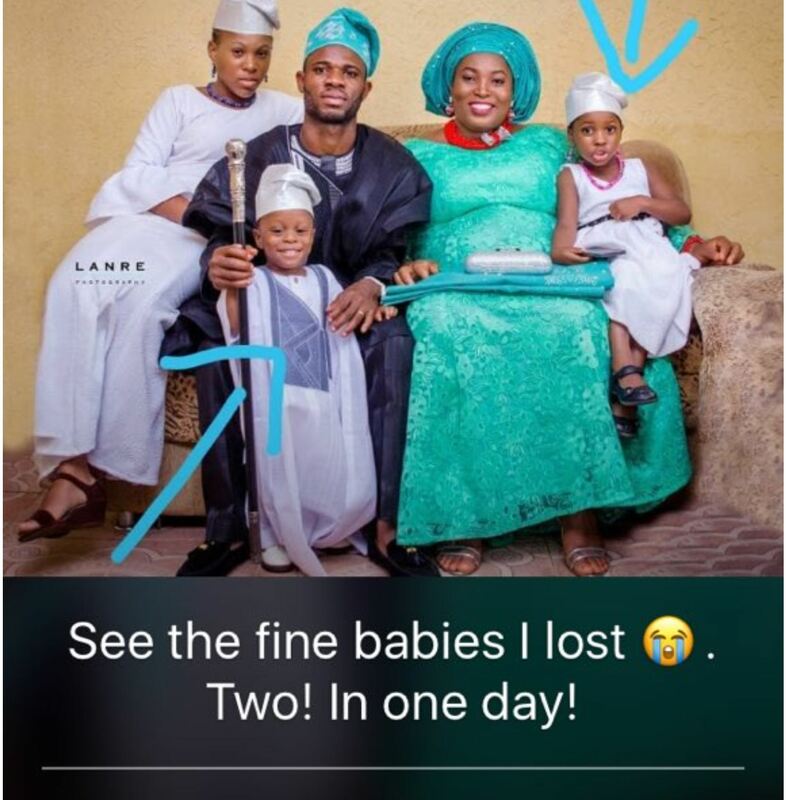 "On the 23rd of June 2018, My husband Olabode Omolere and I experienced terrible loss of Two beautiful kids that brought us so much joy. Itunuoluwa and Oluwadamilare. I am still broken. Its just a week but the pain is still insane, I thought I will die, I still have the thoughts of self destruction but. I am so glad that I gave life to these wonderful kids, they always brought me, Joy. Always! Everyone has their narrative of what went wrong, some garnished even to our own disbelief. ��(it's a painful prayer to say at this time). Thank you for being there for us, we really appreciate it"